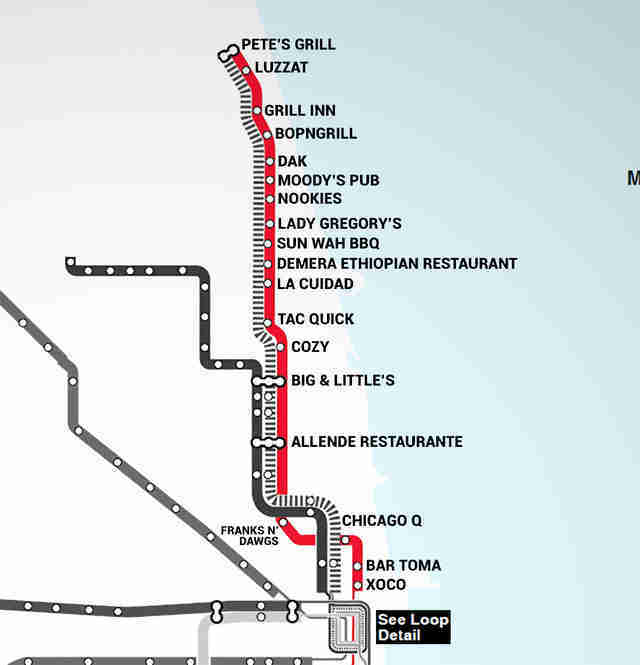 Because eating on the L is verboten by the Don't Be A Huge D-Bag Transit Authority, you're gonna have to keep doing it at restaurants. 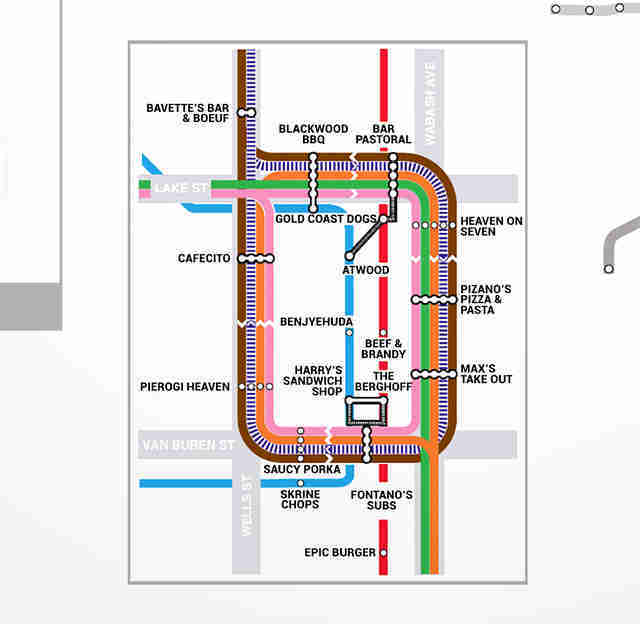 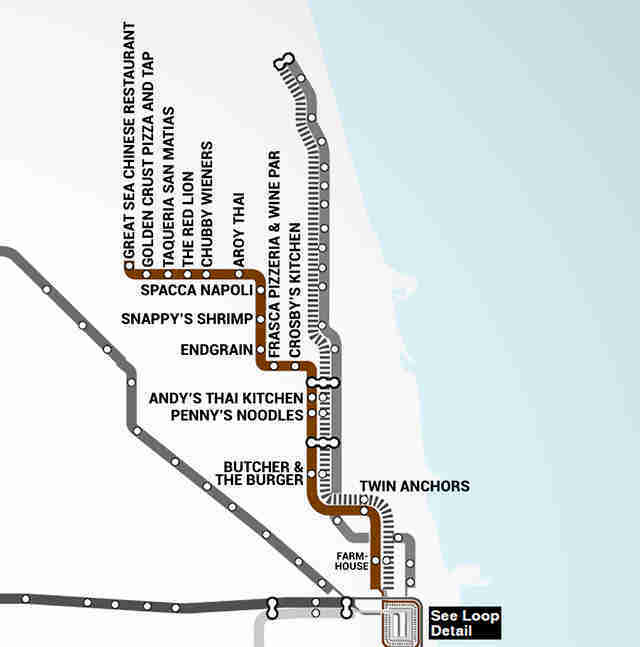 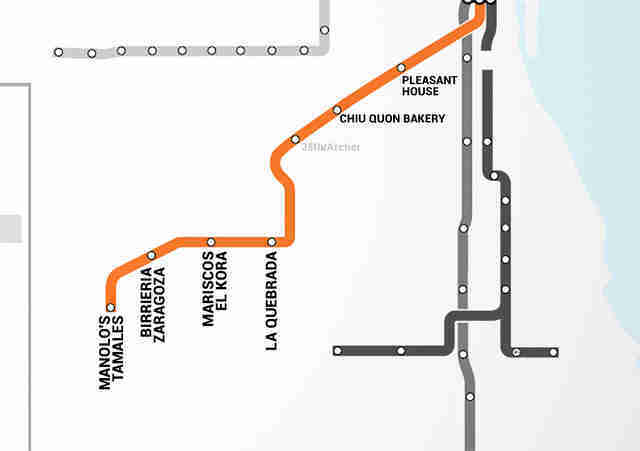 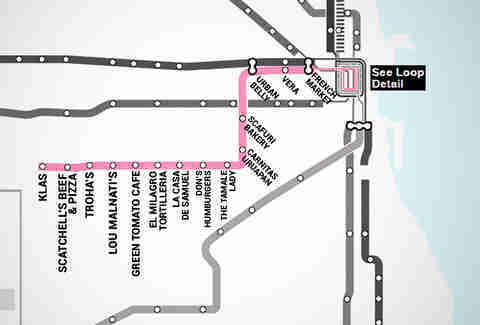 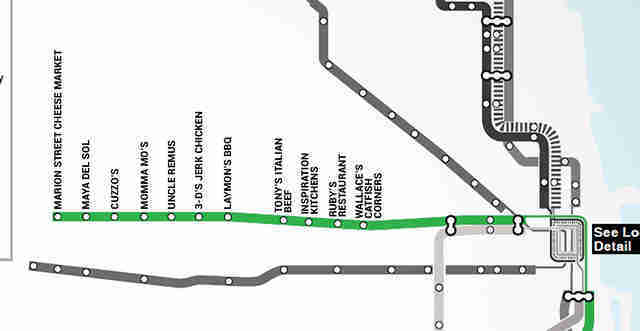 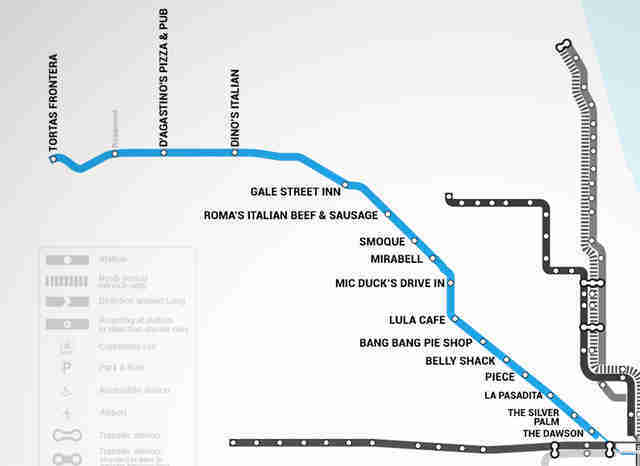 And just like we did with our L Bar Map, we're making that a whole hell of a lot easier by mapping out one restaurant for every single stop -- so you can eat right after getting off the L -- that's both 1) awesome, and 2) less than a 10min walk away. 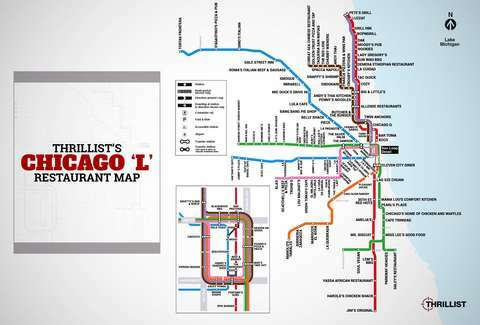 We've got the entire city covered on this one, so check out a blown-up version of our restaurant map here, plus details on every spot below. 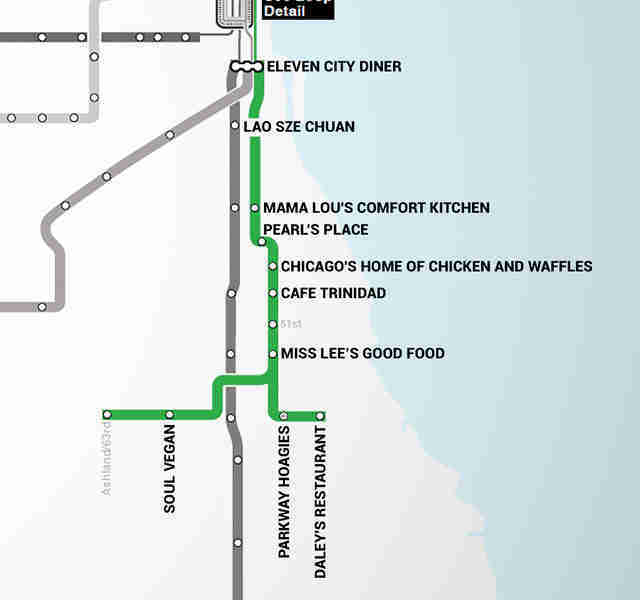 It's after 2am. 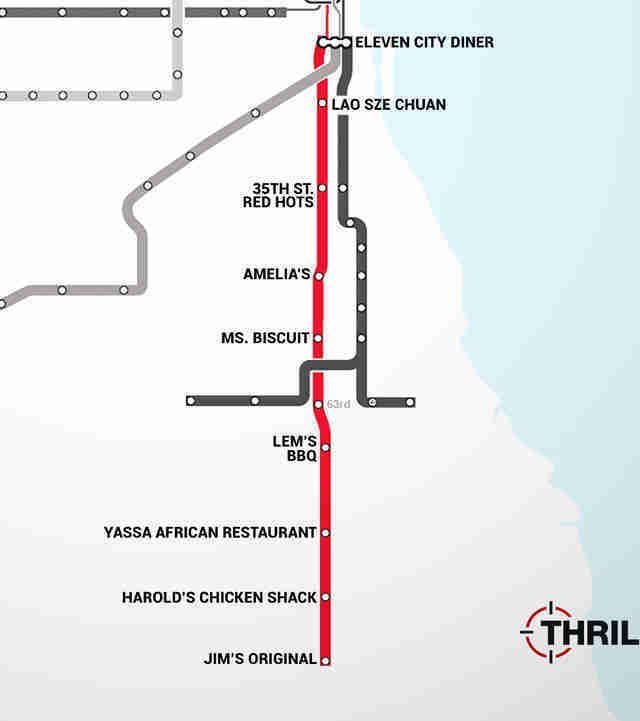 Here are the 60 places in Chicago that'll still deliver you food.